Yoga Ropes Class - New Spring Series! Have you been curious about trying out our rope wall? Let Meg “show you the ropes” in this exciting class series! The use of wall ropes provides support and stability in a variety of poses, helps with balance and allows you to really relax into stretches and concentrate on breathing, getting the most out of your practice. By changing your relationship to gravity, you will increase awareness of your own alignment and flexibility. If you are new to the ropes – or even yoga in general – don’t worry! Class is open level, so all are welcome. Space is limited; pre-register online or call us at 973-768-3867 to reserve your spot! We’ll start with a revitalizing session of Kundalini—a style of yoga designed to release stress and tension, invigorate the body, and build emotional balance. Afterward, you'll get to lie back, relax, and experience the benefits of Reiki, a healing technique that uses gentle touch to help restore physical and emotional wellbeing. This event will be a wonderful opportunity to experience Kundalini yoga and Reiki in a relaxed, comfortable environment. All are welcome. If you are looking to learn how to recover your body from stress or workouts - look no further! Stretch, Roll & Release starts off with a guided class foam roll to warm up the large muscle groups and release built up tension in the body. The rolling is followed by a yoga flow geared towards relieving chronic stress and "tight spots". You will learn recovery foam rolling techniques and specific yoga postures that can easily be used daily! This workshop is open to all levels and will help reduce stress, increase flexibility, improve range of motion, and leave you feeling an overall sense of well-being. Tween Yoga - New Series! Pre-registration is required for all Children's Yoga sessions. Sign up now to reserve your space in this friendly, creative, celebratory and fun class just for tweens! Bring a New Friend Free all month! Bring a friend with you who's never been to the studio before to any regular class in the month of May (workshops not included). They fill out a "New Friend" coupon at the front desk with their name on it, and there's a line for "who brought you" - that's where YOUR name goes. Multiple friends per class are more than welcome (one time per new friend). Once your friend comes, THEY can bring new friends, too, and get THEIR name entered into the raffle. We can't wait to meet your friends! Please be mindful that if your friend has never done yoga before, your best bet is to invite them to a beginner class (especially if you want them to speak to you again). Join the fight against Parkinson’s Disease! Please join Gabrielle and Megan for this special, donations-based restorative yoga class to benefit the Parkinson’s Unity Walk®, an annual event held in NYC to help raise funds for Parkinson’s awareness and research. Let’s all be part of the cure! This event is near and dear to the hearts of both Gabrielle, whose father Gabriel was diagnosed with Parkinson’s in 2013 and fought the good fight before succumbing late last year, and Megan, whose mother Ruth has been bravely battling the disease for the past 28 years. Megan’s family has been participating in the Unity Walk for 12 years now, and Bright Heart Yoga is honored to offer this class in support of their efforts. Restorative Yoga is all rest and relaxation. Melt into deep therapeutic alignment with the help of props and pillows to support you as you relax and restore in this special class. It’s the perfect way to to reward yourself at the end of the work week and ease into the weekend, refreshed and rejuvenated. All are welcome! *All proceeds will directly benefit the Parkinson’s Unity Walk®. To donate online or to read more, CLICK HERE! Every bit helps! Donations by cash, check or credit card can also be made at the door. To read more about Ruth’s journey, click HERE and HERE. Do you struggle with constant worry? Do you live in regret or fear? If you’ve answered yes to any of these questions, you are not alone! In this “I am Enough” workshop, you will learn how to use your breath as a tool for healing, transform a negative mindset into a positive one, reduce physical stress and anxiety, improve your personal body image, and ultimately enhance your wellbeing. This workshop will explore mindbody medicine tools for healing negative thoughts. You will be guided through meditation followed by an inspiring gentle slow flow class. Meryl will encourage and guide you to find self-acceptance. She will help you develop patience for yourself and teach you how to incorporate this inspirational practice into your daily life. You will leave this class feeling emotionally stronger. You will be able to foster the wisdom you need to discover stillness in your mind that will help you achieve balance and harmony in your body. Attending “I am Enough” workshops on a regular basis allows you to dive deeper into your true self while creating infinite possibilities. Meryl is a 500RYT and Mindbody Medicine Coach. 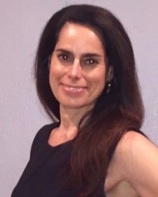 She is certified in Vinyasa, Yoga Therapy, Chair Yoga, Yoga for Common Injuries and Limitations, and Meditation. Meryl is also the owner of Tula Yoga Experience. In this workshop, one can expect exploration of the current fascination with mindfulness, a practice that aims to reconnect us with the present, thereby allowing us to live more meaningful, joyful lives. Published medical studies have shown, mindfulness can alleviate the corrosive stress that is an inescapable fact of the 21st century. No experience is necessary. Instruction will include stillness and easy to follow moving meditations, on and off the mat. Come with an open heart and an open mind. Comfortable clothing is recommended. If you have a lunch prior to arriving – keep it light!! Looking to “pump up” your yoga practice in the new year? Get ready for a fun, balanced, and new routine in this exhilarating new class series! Classes are designed to condition and tone by combining an alignment-based yoga flow with 2- or 3-pound weights. This fun flow will boost your metabolism, challenge your body and leave you smiling. Weights are provided, but you are welcome to bring your own. If you are new to yoga with weights – or even yoga in general – don’t worry! Class is open level, so anyone can participate. Expect to sweat, this one's a blast! If you are looking to learn how to recover from stress, workouts, or just loosen up a bit - look no further! Yoga on a Roll starts off with a guided class foam roll to warm up the large muscle groups followed by a yoga flow geared towards strengthening your body as well as opening up the chronic "tight spots". You will learn recovery foam rolling techniques and specific yoga postures that can easily be used at any time: in the office, traveling, or pre/post workout! Bring a friend with you who's never been to the studio before to any regular class in the month of November (workshops not included). Calling all yoga teachers! Want to take your teaching skills to the next level? This Intro to Yoga Adjustments workshop will teach you both why and how to apply effective hands-on adjustments. It will also help you to gain confidence with more tools to help your students evolve in their practice. 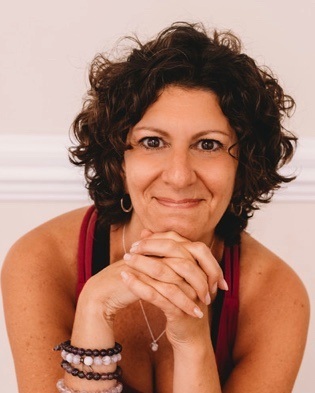 Bring a notebook and join Bright Heart Yoga instructor Meg Soucy for this interactive, hands-on workshop on safe and effective adjustments for all bodies. There will be plenty of time to learn, partner up and apply and ask questions. Tight hips? No problem! This workshop is just for you. The stress and activity of everyday life is often found lodged in the tightness and discomfort of our hips. Hip openers are great for releasing tension within the body, built up emotion and stagnant energy. Opening the hips allows for more range of motion, creating more circulation throughout the body and so much more. This workshop is great for anyone looking to make space and create more movement, mobility, and flexibility within the body. Your hips will thank you! Get back to basics this fall! Join Laurel Santiago, a board-certified nutritionist and yoga instructor, for a 90-minute workshop of Moves, Meals, & Mantras™. Fall detox is a hero because it’s a golden ticket to identifying how foods affect us as well as the first step to help strengthen our natural immune system. There is a lot more to food and health than staying away from “junk food”. Enjoy themed Fall poses supported by grounding mantras and the simplicity of a return to food basics to nourish and strengthen your body. Seasonal Fall Detoxification Guide is included! Disclaimer: The workshop and materials do not replace the advice of your doctor and are not intended to diagnose or treat a condition. The workshop and materials are trademarked and copyrighted – With your purchase you agree to not share or use the information without permission. Pre-registration is required for all Children's Yoga sessions. Sign up now to reserve your space in this stretchy, bendy, friendly, creative, celebratory and fun class just for kids! Yoga Ropes Class - New Summer Series! Have you been curious about trying out our rope wall? Let Meg “show you the ropes” in this exciting new class series! A Bright Heart Yoga tradition! Join us for a refreshing outdoor class under our yoga pavilion on Horseshoe Lake. Class is open level, so everyone is welcome. Feel vibrant and energized this summer! Join Laurel Santiago, a board-certified nutritionist and yoga instructor, for a 90-minute workshop of Moves, Meals, & Mantras™. This integrative seminar is the next in a series that will teach you how to nourish your body and mind by aligning yoga poses designed to temper the summer heat with refreshing iced tea recipes to release toxins and mantras to support summer well-being. Secure your spot now to detox, rejuvenate and energize. Feel good from the inside out! – Enroll by June 6th to receive 5 Fruit Infused Drinks to Hydrate Cells. 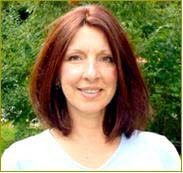 For nearly two decades Karen has been devoted to the sacred science of moving energy through the ancient practices of Yoga & Meditation, the healing energy system of Reiki, Qi-Gong, guided imagery & the core strengthening work of Pilates. Rebalancing the internal systems of the body & mind will promote physical and emotional well-being, internal peace & life harmony. Bring a friend with you who's never been to the studio before to any regular class in the month of April (workshops not included). Please join Gabrielle and Megan for this special, donations-based class to benefit the Parkinson’s Unity Walk®, an annual event held in NYC to help raise funds for Parkinson’s awareness and research. Let’s all be part of the cure! This event is near and dear to the hearts of both Gabrielle, whose father Gabriel was diagnosed with Parkinson’s in 2013, and Megan, whose mother Ruth has been bravely battling the disease for the past 27 years. Megan’s family has been participating in the Unity Walk for 11 years now, and Bright Heart Yoga is honored to offer this class in support of their efforts. Open level class – everyone is welcome! The workshop will begin with a relaxing and revitalizing session of Reiki, a healing technique that uses gentle touch to help restore physical and emotional wellbeing. Afterward, you'll learn practical techniques for tuning into your intuition, including simple ways to enhance your decision-making abilities and cultivate self-awareness. This event is a wonderful opportunity to experience the benefits of Reiki and hone your intuition in a relaxed, comfortable environment. All are welcome. Join Bright Heart Yoga instructor Meg Soucy for this 2-hour, hands-on workshop on safe and effective adjustments for all bodies. Ignite your health and wellness this winter! Join Laurel Santiago, a board-certified nutritionist and yoga instructor, for a 60-minute workshop of Moves, Meals, & Mantras™. This integrative seminar is the first of a series that will teach you how to nourish your body and mind by aligning yoga poses with spiritual and culinary inspiration. Secure your spot now to reset, restore, relax, and rejuvenate after the holiday rush. Make this your holiday gift to yourself with a 4-week easy Clean Eating Kit (planned meals, choice of omnivore or vegetarian recipes, pantry list) for continued goodness. – The first 10 people to enroll will also receive How To Love Yourself Healthy. – Enroll before January 5th to receive How To Be A Healthy Chocoholic. Each winter we gather to honor the past year and cultivate the unspoken yearnings of our hearts, planting seeds of intention as we move into the new year together. This workshop will begin with a relaxing and revitalizing session of Reiki, a healing technique that uses gentle touch to help restore physical and emotional wellbeing. Afterward, we’ll turn to our notebooks, moving through guided journaling exercises that enable us to recognize the lessons of 2017 and realize our dreams for the year ahead. This event will be a wonderful opportunity to experience the benefits of Reiki and guided journaling in a relaxed, comfortable environment. Please bring a pen and paper, and know that you won’t be required to share your written reflections unless you wish to. All are welcome. Yoga Ropes Class - New Series!